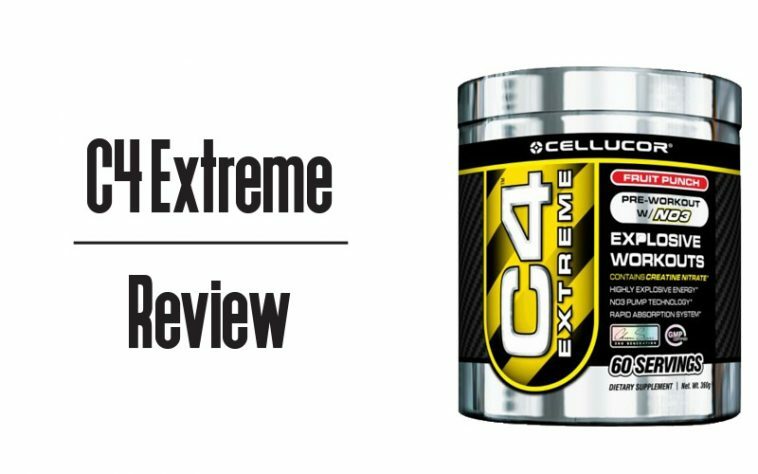 Cellucor C4 Review: Ingredients, When To Take, Side Effects & More! I still remember the very first time I used Cellucor C4 — it was in Spring of 2012 — I grabbed a tub at the supplement store on my way to the gym. Mixed a scoop up in the locker room. Up until that point I had never taken anything like it — it blew my mind. So let’s not waste any time getting straight into it. Cellucor C4 is a potent pre-workout supplement for bodybuilders and gym bros looking for the pump and focus without the useless crap found in many other pre-workout supplements. One scoop is roughly 6.5 grams, with the main ingredients being beta alanine, creatine nitrate, arginine AKG and an explosive energy blend consisting of vitamin C, tyrosine, caffeine anhydrous, niacin, folate, and vitamin B12. So far no side effects have been reported. But if you’re pregnant, nursing, or are currently taking nitrates for chest pain or medication like PDE-5 inhibitors used to treat Mr. Floppy, aka erectile dysfunction, you should then probably steer clear, unless you’re the YOLO type but we don’t recommend it, and neither do Cellucor. Oh, and according to Cellucor you have to be over 18 to use this product. Sorry for all you pre-pubescent youngsters who just watched the Zyzz Legacy video on YouTube. Take 1 scoop of Cellucor C4, mixed with 4-6 fl. oz. of water 20-30 minutes before you train. If your tolerance to the cocai… uh, Cellucor C4 is high, the label on the product says that you can add another scoop, but never to exceed 2 scoops. Taking 3 scoops will land you in a Hangover Part III-like situation. You’ve been warned. Should You Take Cellucor C4? Cellucor C4 is definitely a solid pre-workout supplement and the label is straight forward. If you’re looking for a pre-workout that isn’t solely based on stimulants or caffeine, then Cellucor C4 is the way to go. And although it might contain stimulants, it’s still full of other prime ingredients like creatine nitrate, beta alanine, and arginine AKG. As far as the advertised explosive energy, this is dependent on how long and how much stimulants you’ve been on for. If you’re an average pre-workout user, then this product will sh*twhip you before you even get to the gym. All the best. If you purchase via our links, we may receive a referral fee.